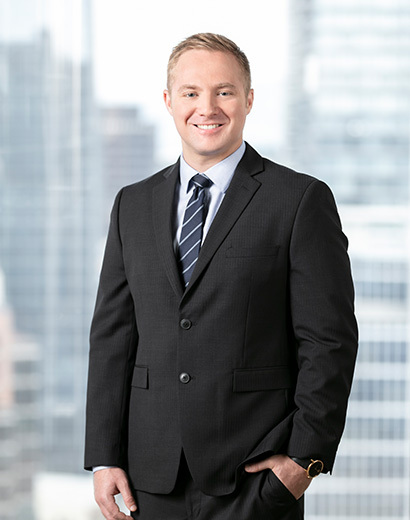 Ben joined Whitelaw Twining in 2015 as an articling student before becoming an associate in 2016. He now works in the areas of road maintenance, subrogation, coverage, personal injury and transportation, and has appeared on behalf of clients in matters before the Provincial and Supreme Court of British Columbia, as well as the British Columbia Court of Appeal. For Ben, the best part of his job is the gratification of quickly and effectively resolving files—and getting the best possible results for his clients. Ben has a deep intellectual curiosity for the law and completed his Masters in Canadian Common Law at the University of British Columbia. Throughout his legal academic career, he participated in numerous volunteer positions both assisting his fellow students through multiple Law Students Societies, and also the broader public through his volunteer experience with Pro Bono Students Canada. When he’s not at work, Benjamin spends as much time outside as possible. He goes to the beach, golfs, hikes the coast mountain trails and plays softball.